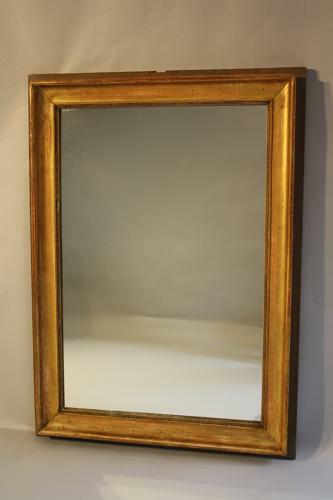 A charming soft gold rectangular and mercury glass panel mirror. C19th French. Can be hung portrait of landscape.